Laser engraving otherwise known as laser etching offers a quick and highly accurate method for marking a wide range of materials. iPad engraving, as well as iPod and iPhone engraving is a great way to personalise and brand your device. Our industry leading, high power, CO2 laser engraver etches the top surface anodised coating away to reveal the contrasting aluminium layer. 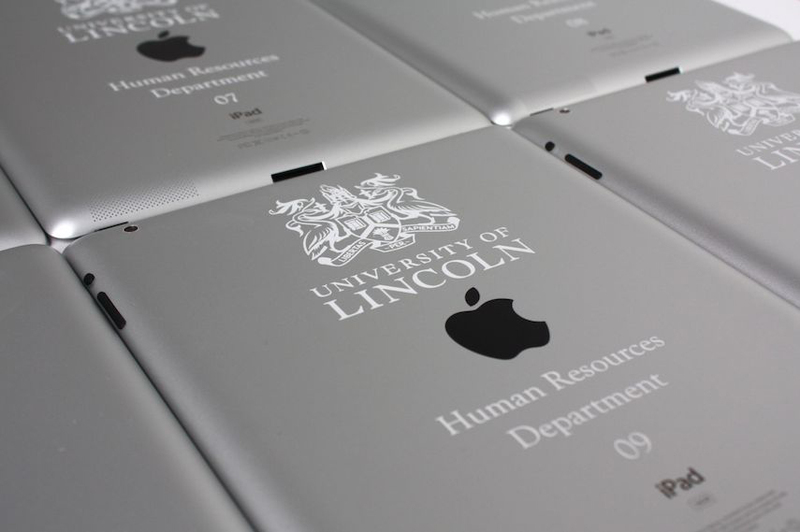 We offer a bespoke tablet and iPad engraving service to personalise your iPads and iPad cases. Models from iPad Pro, iPad Air, iPad air 2, iPad mini 2 & 4 and in all colours. We offer iPad engraving in bulk for businesses and one off personal designs. No job too big or too small. Contact us for advice and a quote. We can also help with your artwork. iPad engraving is one of our favourite applications. The backs are made from anodised aluminium which produces a silvery/white colour which changes with the light direction. 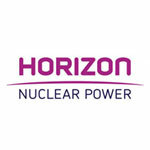 You can personalise with your designs/text or brand for a smart corporate logo. 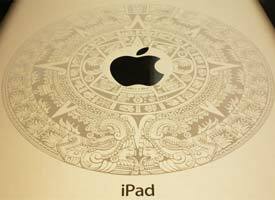 We offer discounts on multiple orders for iPad engraving. Personalise your iPod with your design, logo or text. 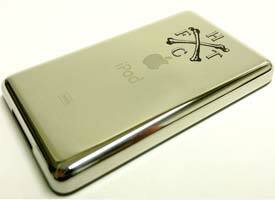 All anodised iPods can be engraved but different colours produce different results. We can also use ceramic marking compounds to laser mark stainless steel devices, so get in touch to see if your iPod can be engraved. Most iPhone generations and colours can be etched. The best results come from the darker finishes like space grey but do work well on others, get in touch and see how we can personalise your item. What devices can we engrave? 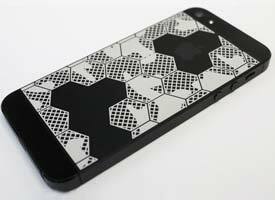 We can also engrave phone cases and iPad smart covers if you prefer. Get in touch and find out if your device is suitable. 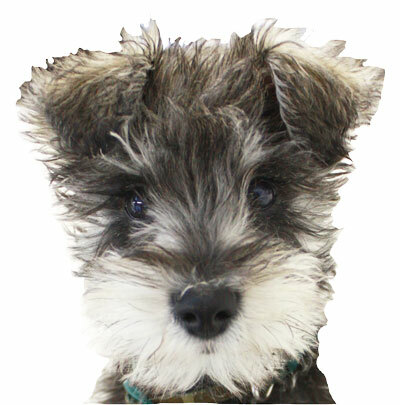 Ideally we need a vector graphic of your proposed design (*.AI, *.EPS, *.PDF) but we can work from raster images such as *.JPEG and *.BMP. We can offer advice and assistance in producing all you artwork to ensure you get the best laser engraving results. Whether modifying your current artwork or creating from scratch based on your ideas, we can produce whatever you require. There is not a set price as we treat all jobs individually. Generally, the larger the engraving then the more expensive the job. We do offer significant discounts for multiple devices. Engraving is great for personalisation and branding. We can also help you with your artwork, get in touch for a quote.